Welcome to the 2017-2018 school year! 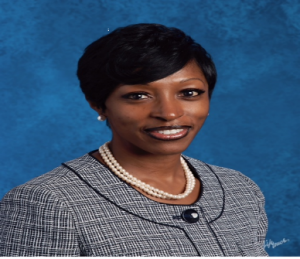 I am extremely honored to serve as the Principal of J. D. Davis Elementary School. You have my pledge that the faculty, staff, and I are dedicated in achieving the mission of “Excellence without Exception. At J.D. Davis, your child is known as a scholar. We have proudly given each student this title because we know that there is a champion in your child and that he/she will achieve unlimited potential. Our staff is professionally skilled and personally committed to meeting the needs of every scholar. Our teachers work diligently to create a learning experience that is responsive to the differences in our scholars’ academic levels, interests, and learning styles. We strive to provide a safe, positive, and supportive school environment where all scholars feel valued and encouraged to achieve their personal best. We are dedicated to making a positive difference in your child’s life. We know that schools cannot do it alone. Our school’s reputation and success rest, in large measure, on parental and community support. Your involvement is an integral part to the success of our scholars. Show your support this year by staying in touch with your child’s teacher, becoming an active member of the PTA, participating in fundraisers, and volunteering in any way your schedule permits. We are committed to working closely with our families and providing on-going communication between home and school. Together, we will create a learning community where scholars, parents, and staff are proud to call J.D. Davis our school. J.D. Davis will continue to participate in an important district initiative called Positive Behavioral Interventions and Supports (PBIS). PBIS is a framework for creating safer and more effective schools. This school-wide discipline framework includes proactive strategies for defining, teaching, and supporting appropriate student behaviors and a positive school environment. A continuum of positive behavior support for all scholars will be implemented in the classroom and non-classroom settings (such as hallways, buses, and restrooms). In 2017-2018, the faculty, staff, and scholars of JD Davis will soar to be RESEPCTFUL, RESPONSIBLE, AND READY. It is with a humbled spirit that I say thank you for allowing me a moment of time along your child’s educational journey to create lasting impressions. I look forward to serving you and your child. This will be an OWL-standing school year filled with success and many accomplishments. Thank you in advance for your support and commitment.